Happy New Year! Are you ready to go back to school? If not, these activities and resources may put you in the mood! If not, a freebie may help! 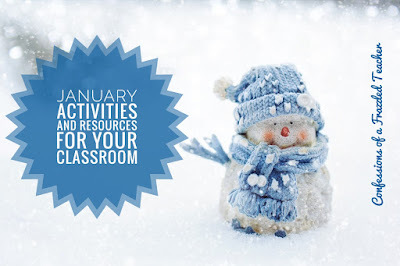 Here are some of my favorite things to do in January with my students! Disclaimer: Some links are affiliate links; clicking on theme provides compensation for me at no cost to you. I usually read the middle book, Eve of the Emperor Penguin since I LOVE Magic Tree House books. If my group is really high, we will read Mr. Popper's Penguins. The third book is a nonfiction alternative that accompanies the Magic Tree House series. Besides picture books, there are so many activities to do involving penguins. Websites - KidZone Penguins, Penguin World, and Penguin Watch are great for research purposes. There are some great live penguin cams from the San Diego Zoo and the Kansas City Zoo. 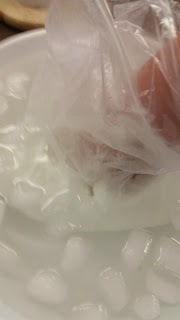 Blubber Experiment - Have your students get to know how blubber keeps penguins warm with this simple experiment. 1. Fill a large bowl with ice water. 2. Open a gallon size Ziploc bag and fill it with Crisco. 3. Place another gallon bag inside. (This keeps hands from getting "blubber" on them. 4. Have students compare and contrast having one hand in the ice water and one hand in the "blubber." There usually is a ton of snow in January around here (although last year it didn't snow until March), so I do a winter unit with the focus on snow, snowmen, and migration. A quick activity is a "Snowball Fight." You can do this with any subject. Students create questions about the topic of your choosing. They then crumple of the papers. Throw the papers around to have a snowball fight. When the snowball fight is over, students can answer the questions. Let me leave you with a freebie - task cards! I made these cards to start my students off on a positive start. There are 6 cards that help the students set resolutions/goals for the new year. The next 12 cards will help you review procedures/ routines. There are the ones I am most excited about! Click the pic below to get your copy. What seasonal activities do you like to do in January with your students?